Power Clean always does a wonderful job from start to finish! The customer service was superb, and they were even able to repair/patch our carpet. Terry Gose, Realtor, As a realtor, I need a company I can trust. Power Clean has always come through for me. I highly recommend them. Fantastic! Arrived 10 minutes ahead of schedule, cleaned both areas of concern as well as a large area rug( wasn't in the original estimate). No extra charge. Removed the pet urine odors completely. Very pleasant to work with. Will be using when we PCS next year. My carpet looks like it was just installed! Fast and friendly! I'm a life long customer! Thank you again, excellent job! Prompt and professional. 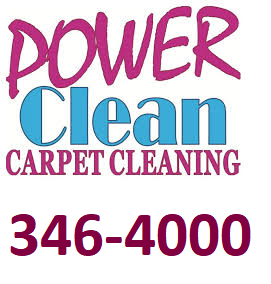 Power Clean always does a superior job on our carpets for a reasonable price. I would never hesitate to recommend them. They are thorough, conscientious and will stand behind their work. The house is nice and clean. Thank you Power Clean. My husband and I had been talking about getting our carpets cleaned because of pet urine odor and I started looking around at pricing and best quality. I read all the reviews for Power Clean Carpet Cleaners and decided to give them a try. They did not disappoint. They called me with an estimate and did not keep calling to bug me about it, just one simple call and that was it, I really appreciated their patience. So I had an appt set up for 11aM received a call from Victor, who was very nice and professional, to let me know he was going to be a little late because of some miscommunication between the scheduler and the worker. He explained everything to me and made up for the mistake with a discount, which I did not ask for, but he was nice enough to give. I would recommend this place to anyone. I know our pet urine stains were a difficult one to remove because of how much their was, but he did everything in his ability to get this carpet cleaned. I have to wait for it to dry to see if the smell is gone, but so far so good. Thank you Victor and Power Cleaners for an amazing experience. I would recommend them to anyone. Oh, and they have the best price around that I could see. Plus military discount. Thanks guys! Great Job on a white carpet with lots of dirt and spots. I am very happy about the service and completed job. The stairs look great and haven't looked this good for many years! Wow!! With two dogs, two cats, a young baby, messy husband and a thirteen year old need I say that the carpets in my place were looking horrid! We had a roommate who got stains all over the carpet in his bedroom and we thought that we would have to replace the entire thing. They gave me a fair price and quote. Let me say... all the stains but one old one came out! That old one was reduced to a faint stain. The carpets never looked better. The price and service were top of the line. I would recommend over and over again. We got our carpets cleaned a year ago by another company and they did not even look near this well! Victor did a great job getting grease stains out of my carpet, and I couldn't be happier with the results. Very reasonable rates, exceptional service. I would recommend Power Clean to anyone! I was very pleased with the quality and service of Power Clean Carpet Cleaning. The technician was polite and friendly. He was able to remove the stains in my carpets. I would gladly recommend this company. Victor did a great job not only getting out dog urine stains I knew about, but also other stains and messes I hadn't even noticed! His service was efficient, thorough, and professional. I've used PowerClean before, will definitely use again, and have recommended to my friends. Thanks for a great job cleaning some messy carpet! This is a company that I trust. good people,good company. 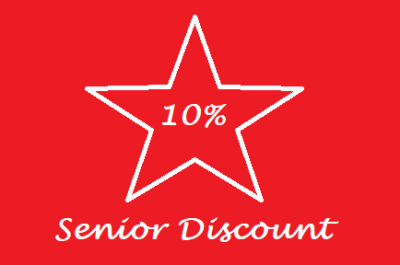 Fast and friendly service at a reasonable price and with great results. I'll gladly use this company again in the future. ​They do a great job at a fair price. Power Clean has been out to clean my carpets several times. They have consistently done a good job. I get the same person each time. Victor, and he is really nice and friendly. He arrives on time and is always able to get the stains out. He leaves the carpets smelling good as well. Power cleans prices are comparable to the competition so you should give them a try. I have used others who are not nearly as good. Reliable, flexible and always fast and efficient. I have been using Power Clean consistently to clean my rental properties across anchorage for about four years now. They always do a great job. I appreciate they are so flexible with their schedule and that the price is right. The turn around time is fast as well. I highly recommend Power Clean to anybody. Very professional, showed up on time, explained everything to me, extremely polite, great service! Will highly recommend to my real estate clients. Victor is outstanding. Amazing! Very professional, friendly and knowledgeable people. They were able to get my carpet clean when I thought I would have to replace it. Power Clean always does a great job. They’ve cleaned several homes for me. If I call them, they call me right back. They are always prompt and on time and they are on it. They are in and out and the carpets always look great. I have been using Power Clean Carpet Cleaning for about eight years now. I have multiple rental properties they clean for me. They give me a great commercial price which makes this affordable for me. They are always prompt, provide quality work are professional and they are quick to respond to my requests. I would recommend them to my very best friend! We used Power Clean from a referral from a friend who had really great things to say about them. The young man came and got the puppy stains out of my carpet! We even called to let them know what a great job he did for us. We will absolutely use them again and highly recommend them to anybody! Awesome , Victor is fantastic. Give him a raise. He is always punctual, polite, professional and always does a great job. Thank you very much. Great. I would recommend them. The best I can say about Power Clean is that Victor is a great guy and he does a great job for me for the past couple of years.